Coverall Roofing, a Michigan-based roofing contractor, has recently launched its new website. This redesigned site will help our customers quickly and easily find the roofing information they need. We’ve also established this blog to give our customers up-to-date news and information in an easily digestible format. A family-owned roofing company located in New Haven, MI, we serve homeowners throughout the tri-county Detroit Metro area. We've helped homeowners in Berkley, Fraser, Mount Clemens, Saint Clair, and West Bloomfield among other towns in our service territory. Not only is your satisfaction our goal, we aim to deliver a level of roofing and home improvement excellence second to none. That’s why we never outsource our labor, and why we use only the highest quality products available. We will deliver a job to match your budget, but will never sacrifice quality to get it done. 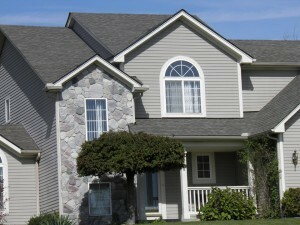 “Nick does a great job creating happy customers because of the quality roofs his company provides. Coverall Construction is a preferred partner of Owens Corning, so you're going to get the best materials for your roof. Ask Nick to give you an estimate!" When you hire Coverall Construction, you get the job you deserve. Our competitive pricing and dedication to your satisfaction means that your job will be done on time and on budget. Give us a call , or visit us online to request your FREE quote today! Since 2000, Coverall Roofing (originally Coverall Construction) has been providing quality home improvement services to residents in Macomb, Oakland and Saint Clair counties as well as Grosse Pointe. We believe that strong communities are built when businesses and consumers work together. Our employees are active in the communities we serve, supporting youth sports and community groups, as well as other local businesses. For more information about Coverall services, or to request your FREE quote, please call us today.